A tetrahedron in solid geometry is called a polyhedron, which consists of four triangular faces. The tetrahedron has 6 edges and 4 faces, and vertices. If the tetrahedron all faces are right triangles, then the tetrahedron is regular. The surface area of any polyhedron including a tetrahedron can be calculatedknowing the area of its faces. 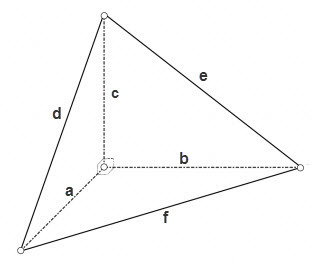 To find the surface area of the tetrahedron, it is necessary to calculate the area of a triangle which constitutes its face. S = √3 * a2. S = √(p * (p - d) * (p - e) * (p - f)), where p = (d + e + f)/2 – properiter triangle. In General, the area of each tetrahedron can be calculated using Heron's formula to calculate the area of each face. Four - "Tetra" - to name three-dimensional geometric figures indicates the number of its constituent edges. 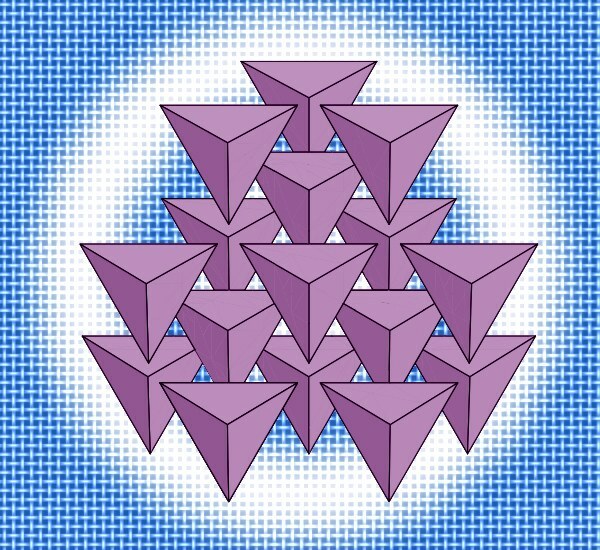 And the number of faces of the regular tetrahedron, in turn, uniquely determines the configuration of each of them, four surfaces can be three-dimensional shape, having the shape of a regular triangle. The calculation of the lengths of edges is composed of equilateral triangles of the figure does this. In the figure, composed of exactly the same faces, the base can be considered as any of them, so the problem is reduced to calculating the length of an arbitrarily chosen edge. If you are aware of the total surface area of the tetrahedron (S), to calculate the length of edge (a) extract from it the square root and divide the result by the cube root of triples: a = √S/3√3. 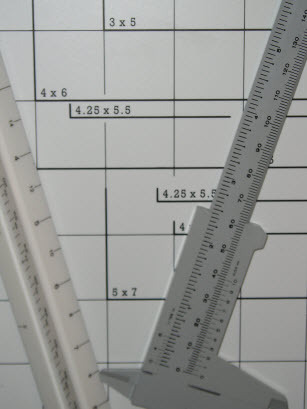 The area of one face (s), must obviously be four times smaller than the full surface area. Therefore, for calculation of the edge length for this parameter is transform the formula from the previous step to this: a = 2*√s/3√3. If the conditions given height (H) of a tetrahedron, to find the length of side (a), each component of the line triple is the only known value, and then divide by the square root of six: a = 3*H/√6. While known because of the problem volume (V) of the tetrahedron to calculate the length of edge (a) will have to extract the cube root of this value, increased twelve times. Calculate this value, divide it, and in the fourth root of two: a = 3√(12*V)/⁴√2. Knowing the diameter circumscribed about the tetrahedron of the sphere (D), too it is possible to find the length of its edge (a). To do this, increase the diameter in half and then divide by the square root of six: a = 2*D/√6. The diameter of the inscribed in this shape of a sphere (d) the length of the edge is determined by almost the same the only difference is that the diameter should be increased not twice, but six times: a = 6*d/√6. Circle radius (r) inscribed in any face of this figure also allows us to calculate the necessary size - multiply it by six and divide by the square root of triples: a = r*6/√3. 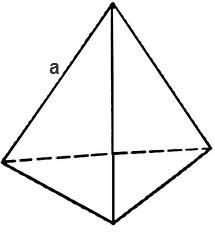 If the conditions of the problem given the total length of all edges of the regular tetrahedron (P), to find the length of each of them just divide this number by six which is the number of edges has this body figure: a = P/6.